Born in Switzerland in 1886, Barth studied at several prestigious universities including Tübingen. After completing his studies, he served as pastor in Geneva and Safenwil. The events of the First World War led Barth to critically question the dominant theology of the day, which, in Barth’s view, held a too easy peace between theology and culture. In his Commentary on Romans, published in 1918, Barth reasserted doctrines such as God’s sovereignty and human sin, central ideas which he believed were excluded and overshadowed in theological discourse at that time. With Hitler’s rise to power, Barth joined the Confessional Church and was chiefly responsible for the writing of the Barmen Declaration (1934), one of its foundational documents. In it, Barth claimed that the Church’s allegiance to God in Christ gave it the moral imperative to challenge the rule and violence of Hitler. Barth was himself ultimately forced to resign his professorship at Bonn due to his refusal to swear an oath to Hitler. In 1932, Barth published the first volume of his thirteen-volume opus, the Church Dogmatics. Barth would work on the Dogmatics until his death in 1968. An exhaustive account of his theological themes and a daring reassessment of the entire Christian theological tradition, the Dogmatics gave new thought to some of the central themes first articulated in the Commentary on Romans. In the first volume, “The Doctrine of the Word of God,” Barth laid out many of the theological notions which would comprise the heart of the entire work, including his understanding of God’s Word as the definitive source of revelation, the Incarnation as the bridge between God’s revelation and human sin, and the election of the creation as God’s great end. Karl Barth was one of the great thinkers of the twentieth century. Pope Pius XII regarded him as the most important theologian since Thomas Aquinas. This assessment speaks to the respect Barth received from both Protestant and Catholic theologians and to his influence within both theological communities. I Almighty God, source of justice beyond human knowledge: We offer thanks that thou didst inspire Karl Barth to resist tyranny and exalt thy saving grace, without which we cannot apprehend thy will. Teach us, like him, to live by faith, and even in chaotic and perilous times to perceive the light of thy eternal glory, Jesus Christ our Redeemer; who liveth and reigneth with thee and the Holy Spirit, ever one God, throughout all ages. Amen. II Almighty God, source of justice beyond human knowledge: We thank you for inspiring Karl Barth to resist tyranny and exalt your saving grace, without which we cannot apprehend your will. Teach us, like him, to live by faith, and even in chaotic and perilous times to perceive the light of your eternal glory, Jesus Christ our Redeemer; who lives and reigns with you and the Holy Spirit, ever one God, throughout all ages. Amen. Choosing between Barth and Merton on the same day seems unnecessary. Can they have their own days? Gospel: It is only 3 verses. Who knew that Barth was short and sweet (notwithstanding the ‘for the Bible tells me so’ story)? Bio. He needs a ‘who he is’ and ‘why he is important’ statement. And, a ‘He died in 1968.’ statement. Glad to see Barth added. Here’s a very necessary editorial change: he did not join the “Confessional Church” but the “Confessing Church” that was responsible for the Barmen Declaration. “Confessional” must be changed to “Confessing” in subsequent editions, otherwise it makes us look historically illiterate and uninformed. Thank you. I note that in my copy of Karl Barth: Church Dogmatics, A selection with introduction by Helmut Gollwitzer (Edinburgh: T. & T. Clark, 1961), Barth repeatedly refers (in G. W. Bromiley’s translation) to “the Confessional Church” in a discussion of the Barmen Declaration. I think that Bekennende Kirche can be translated as either “Confessing Church” or as “Confessional Church.” However, it does appear that the translation “Confessing Church” is the most common one. 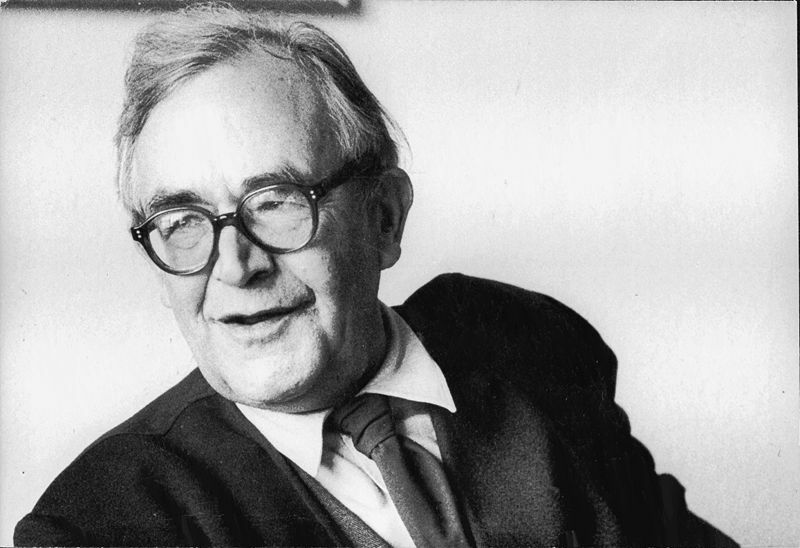 Reducing Barth’s legacy to his protest against the Nazis – the collect’s reference to justice – reveals nothing other than a reduction of Barth’s work to a complacent, hippie dippie pacifism. Barth was a decadent and arrogant man who insulted his friends in public (notably, Emil Brunner, with whom Barth publicly broke off his friendship in their debate over natural theology) and carried on a decades-long affair with his assistant, Charlotte von Kirschbaum. He belongs in no one’s calendar. There are several weaknesses in the biography, attempts I suppose to summarize an important historical figure who lived during the great European wars of the twentieth century. It should be noted that Barth’s reaction was to the dominant “liberal” theology of the day, specifically to the support many of Germany’s leading theologians, including his teacher Adolf von Harnack, gave to the German war effort in World War I. It’s important as well to stress that it was the second edition of the Commentary on Romans that was the theological milestone. To say that Barth “joined” the Confessing Church is an oversimplification(as an aside, given the trajectory of the word “confessional” in the English language since 1961, “confessing” is probably the better translation and preserves the active sense of the German); the Barmen Declaration of 1934 was in some sense its founding document. It might be better to say that he participated with other theologians and pastors in the movement that became the Confessing Church. Finally, it should be noted that after being evicted from his chair at Bonn, he emigrated to Basel. One might also have expected some mention of Barth’s impact on Anglican and Episcopal theology in the twentieth century. I had forgotten these two great saints, Barth and Merton, went to heaven that same day in 1968. What a joyous meeting and homecoming that must have been. I hope they will always be remembered in the Episcopal Church on the same day. The problem with remembering Barth and Merton on the same day is that you have to choose to remember one rather than the other in the context of the Eucharist. It would be better to give them separate days. Why not change the rule and remember them both at the Eucharist? Or does this hark back to some arcane custom of the primitive church (no offense intended)? I’m not sure about “arcane custom[s] of the primitive church” in relation to this issue, but for me, it’s primarily a pragmatic matter. There are different scripture readings and collects assigned to each, so one would still have to choose between the two. Plus, Barth and Merton are very different figures. Even if they had the same scripture readings and collect, IMO observing them both on the same day runs the risk of watering down the significance of one or both. It’s trying to do way too much at one time. Thanks to Guyer for his “reality check” comments about Barth’s relationship with Charlotte von Kirschbaum and his arguments with Brunner. The long-term relationship with Charlotte, which damaged his relationship with his wife and children, seems to me to fly directly in the face of Barth’s theology, making him out to be a hypocrite. About Brunner: I found this comparison of his and Barth’s theologies on-line (see below). How could Barth, who valued faith above reason, have done what he did in his personal life? I admire Barth’s “taking on” of German liberals who seemed to be blind to the dangers of fascism, but I don’t understand his treatment of faith, revelation, reason, and emotion (eros, that is) in his personal life. One of my Professors was a student of Barth and his caustic remark to a question in class about von Kirschbaum was that if Bart had wanted to have “an affair” with her it would have been a matter of barking up the wrong tree on his part. He was also quite pointed that the rummers tended to emanate from the Lutheran Faculty in Berlin. Many people just couldn’t quite get the idea that two adults of the opposite gender could be close and not have an adulterous relationship, sexual or not. His marriage to Nellie was an “unhappy” one at times based on their differing personalities and that it was arraigned by their mothers and sort of pushed on them. He was also fairly blunt that Barth and Brunners relationship was no where near as heated and angry as their supporters made it out to be. Brunner even took over Barth’s teaching load in the late 40’s when he went to try and restart the Theological Faculty in Berlin. Thanks, John. I did some more checking after your post, and found a “Student Blog” by someone who was quite disillusioned when he heard about Barth’s personal life (like me, he had been quite a fan of Barth). He referred to a review of a biography of Barth which helped him work through those feelings: Suzanne Selinger’s _Charlotte von Kirschbaum and Karl Barth: A Study in Biography and the History of Theology_ (University Park, PA: Pennsylvania State University Press, 1998), viii + 206pp. $29.00 ,Reviewed by: George Hunsinger. I read the review–the reviewer is kinder about Barth than the author of the biography. Something the reviewer got from the book struck me: “The sections on how Barth and von Kirschbaum respectively viewed male/female relationships as bearing the image of God are interesting and worth reading.” I think there’s a danger here, and some of what I’ve read recently by TEC writers seems to reflect a similar belief. C.S. Lewis warned about the consuming nature of eros in _The Four Loves_. Lewis implied that one of the dangers of the consuming nature of eros is that it can be confused with “agape,” which is the unconditional love God has for us, similar to the love He wants us to show each other. And Lewis said directly that it was important to put agape ahead of eros. I’m afraid that Barth confused the two, and it’s also what some present-day writers seem to be doing. In the Dogmatics, the relationship between male and female as a model of the Image of God doesn’t depend upon a sexual relationship, despite what some interpreters have said. All i can say is that a man who knew them both, and had little reason to cover for them, was quite clear that they didn’t have a sexual relationship. Thanks, John. I have to agree with a commenter on another site, however, who said that whether or not the relationship had a physically sexual component (and some scholars say they have evidence that it did), the relationship was wrong in that it interfered with the relationship he had with his wife. The “other woman” moved in with them and they went on extended vacations. Those who justify the relationship say Barth’s wife was not his intellectual equal; he could not plumb the depths of male/female relationships with her because of that, his parents hadn’t let him marry the girl he loved before he met his wife, they insisted he marry the woman who became his wife, etc. ; therefore his and Charlotte’s intellectual intimacy justified their living together in a ménage à trois, travelling together, etc. I think the statement in Dogmatics that “the relationship between male and female as a model of an image of God” can be used in ways that show “the heart is deceitful,” are harmful to some of the persons involved, and are sinful. Line 1, first paragraph: amend opening to read “Born at Basel, Switzerland, on May 10, 1886”. Line 2, first paragraph: after “Tubingen”, add “, Germany”. Line 3, first paragraph: after “in”, add “two Swiss centers,”. Line 3, third paragraph: substitute “worked” for “would work”. No one who actually takes the trouble to read Barth could possibly suppose that he confuses agape and eros. See Church Dogmatics, vol. IV, part 2, pp. 727-840. There is also a difference, by the way, between agape and mere moralism, a distinction I think C.S. Lewis would have understood. There certainly is a difference between agape and mere moralism, which CS Lewis understood very well. However, in _The Four Loves_ he says how quickly friendship can cross the bridge to eros (p. 98 of the Harvest/HBJ 1960 edition). And friendship is heightened by sharing the same intellectual interests. It isn’t “mere moralism” which would alert a person about to cross that bridge to eros not to do it when it would be adulterous. But if a person has confused that deep intellectual sharing between a man and woman with God’s love for us (agape), which it sounds to me as though Barth did (and I’ll find the reference you mentioned above), it would make it easier for him or her to justify crossing the bridge by admitting the person into his/her household and going on trips with him/her, whether the “eros” had a physical expression or not. I just skimmed through the last chapter in Lewis’ _Four Loves_, which is about agape/charity/God’s love for us, and the love we have for God, which is the highest love. All the types of love are valued in the chapter, but none of them are given the priority in relationship to agape which Barth seems to have given to the male/female relationship. Again, I’ll try to find the pp. you mention above and compare them with what CS Lewis says. Our university library does not have Volume IV of Barth’s Church Dogmatics, and it’s quite expensive from Amazon.com. But I did ask for it on our local library’s inter-library loan system today. The new edition is less than 6 months old so they can’t get that one, but will try to get an older one. Too bad this important work isn’t more readily available. –I see, Dr. Hunsinger, that you are the leading authority on Barth today, and that you teach at the Princeton Theological Seminary. Thank you for commenting on this thread. Both Barth and Merton merit inclusion, and they have more than enough substance–each of them–to share a day in TEC’s calendar. I welcome Barth’s addition; he is a theological resource for us. Finally was able to buy a used copy of Barth’s Vol !V, Part 2 of _Church Dogmatics_ (what I got from inter-library loan was a slim paperback on something of Barth’s that wasn’t what I’d asked for). Have read most of pp. 727-840, “The Holy Spirit and Christian Love,” as Dr. Hunsinger recommended. Barth stresses the difference between eros (seeking its own ends) and agape (seeking the other) several times in this section, so yes, anyone familiar with this would be appalled by someone’s saying that he mixed them up. Still not convinced, however, that Barth was guiltless in his very long-term relationship with Charlotte. Being able to identify a sin, and to deplore it, does not mean that one isn’t committing a sin. –I’m glad to have this volume, nevertheless. –Got some help with the style by Googling “why are there sections in small print in Church Dogmatics” and got a helpful answer. The parts in regular size print are lectures he gave, the parts in small print detailed support, Biblical references, etc. for the part in regular print. And the fact that the book is composed of lectures he gave sheds light on the repetition–orally transmitted information needs repetition.